There’s all types of love in the world but there’s nothing better than puppy love. 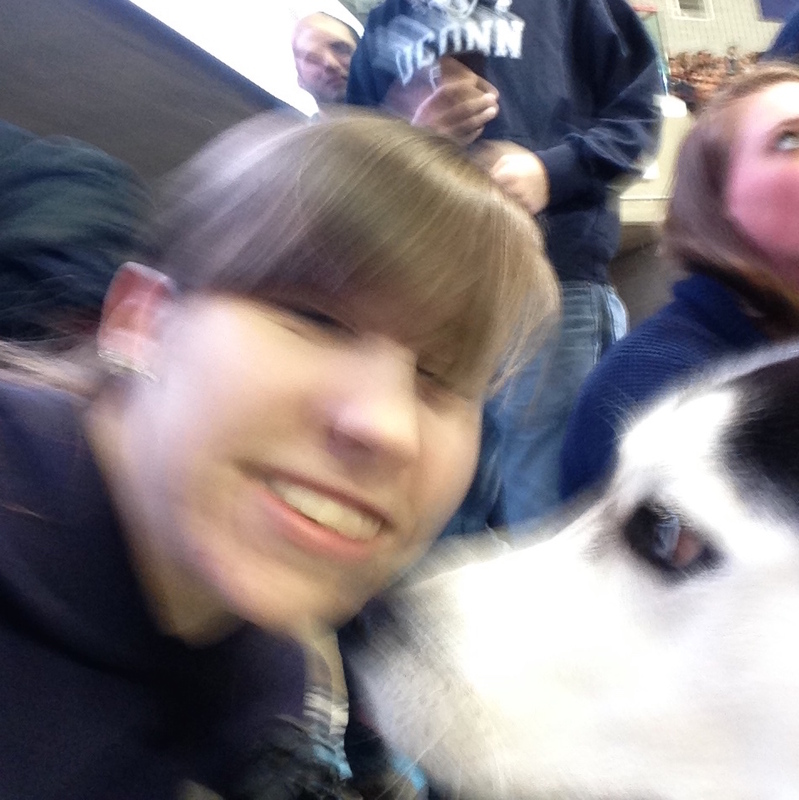 Especially when you’re kissed by the University of Connecticut’s mascot Jonathan the Husky. 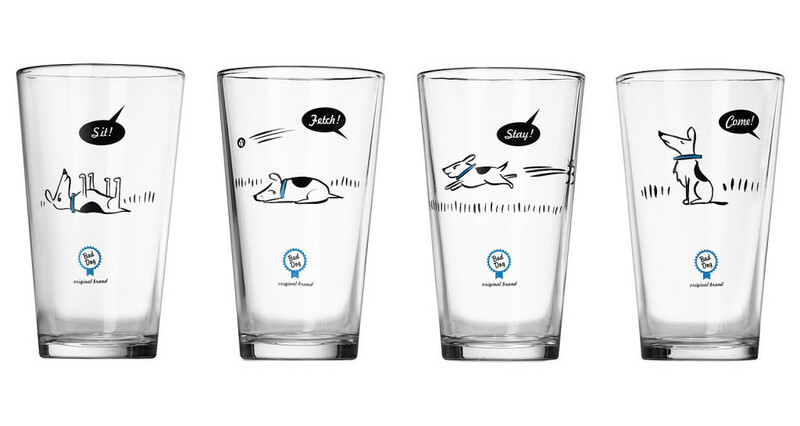 Only a little over a year old, the adorable black and white pup has captured our hearts while instilling fear in both snowmen and our enemies. 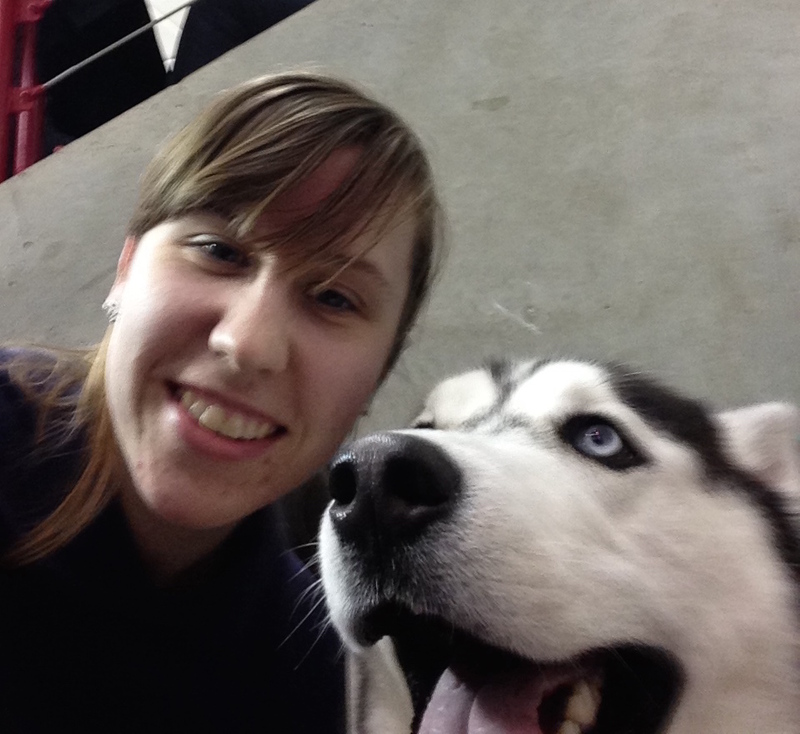 As Jonathan the Husky is still fairly young, he’s slowly being acclimated to large crowds and can’t always be found at every sports event. It was almost a blessing to be chased out of our seats by the obnoxious shouting from Memphis Tiger fans, because while on the hunt for new ones, we ran into Jonathan Husky!! 🙂 His handlers said he was too overstimulated to allow for pictures, but while I got low to pet him he covered my face in kisses. Major endorphin rush and goofy smile ensued. And in spite of his handlers wishes, I snagged one of my favorite selfies of all time. 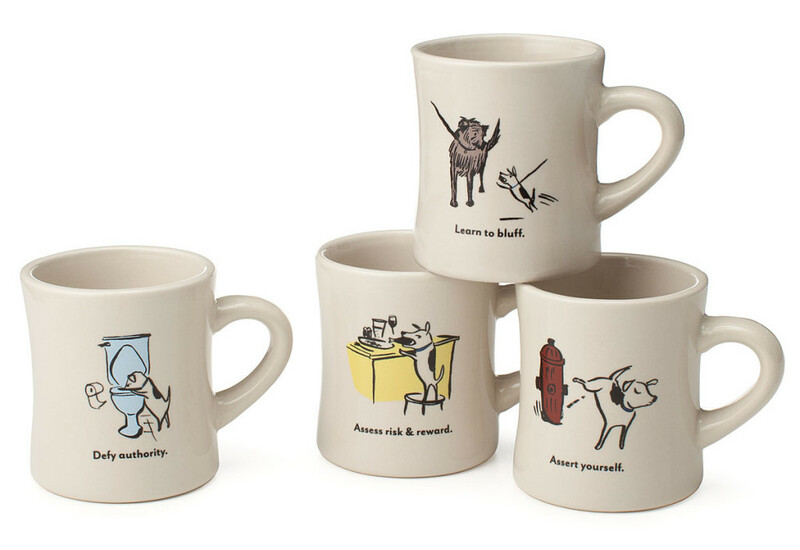 I’m a huge fan of the misbehaving dog on the bottom, just for his sheer adorable-ness and because he’s so stubborn. 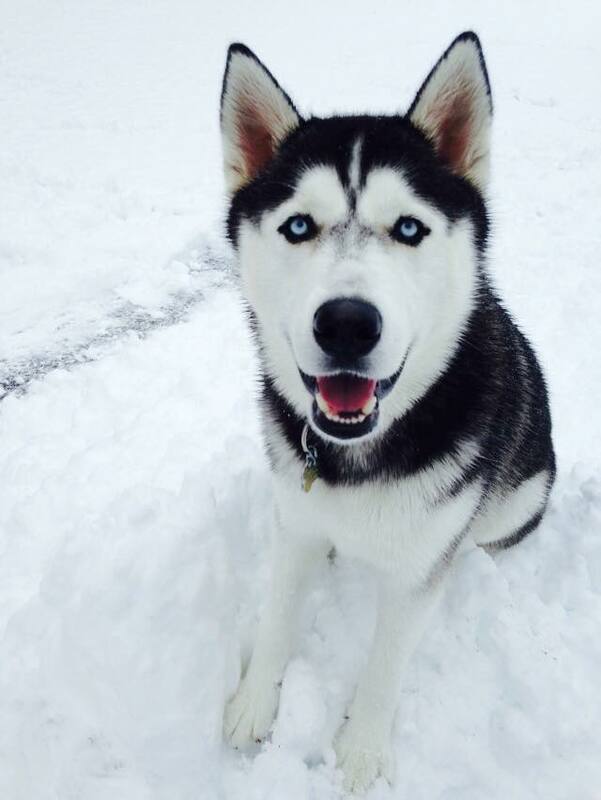 I bet you even a treat couldn’t convince him to obey.